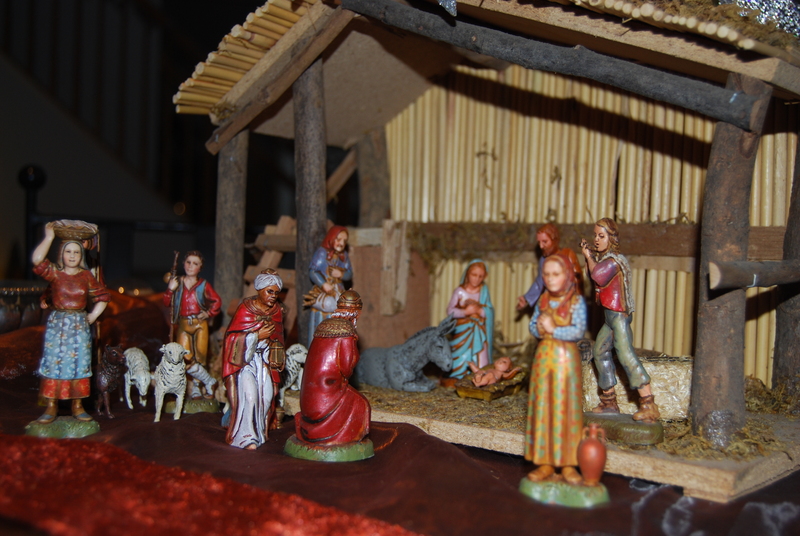 The word presepe comes from Latin “praesaepe” and means mangiatoia (manger). The Italian tradition of the presepe originates with St. Francis of Assisi, who in 1223, in Greggio (Umbria), for the first time represented the Nativity with a live scene. The first sculptural representation of the Italian Nativity scene is from the late ‘200, when it only included eight figures, Madonna, Giuseppe, Bambino Gesu`, asino, bue e Re Magi (Mary, Joseph, Baby Jesus, the donkey, the ox and the Wise Men). 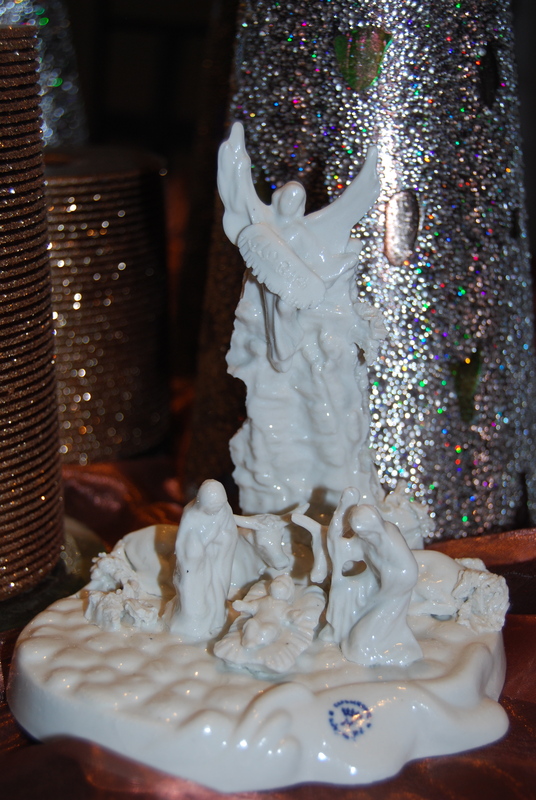 With time the presepe evolved to include the angels and the shepherds with their flock. 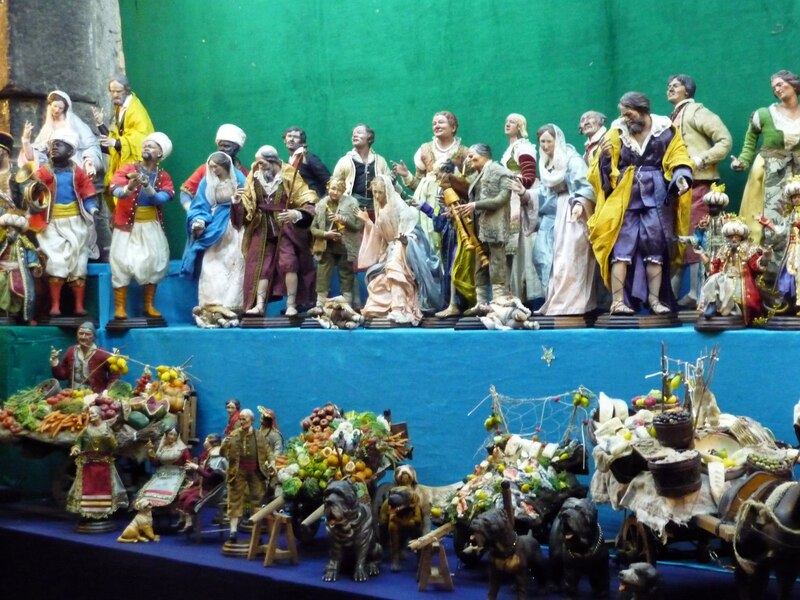 It was in the late ‘600 that the Presepe Napoletano took a more theatrical aspect with its mix of sacred and profane and finally, in the 1700, the making of the presepe in Napoli became a true art. It was then, in fact, that the presepe began to adorn the houses of the aristocracy and then finally became a widespread tradition. It was then that the Neapolitan artists gave the Sacred scene a more realistic setting with the introduction of elements from their everyday life. In Napoli there is a street, Via San Gregorio Armeno, which is also known as “Via dei Presepi” (Presepi Street). 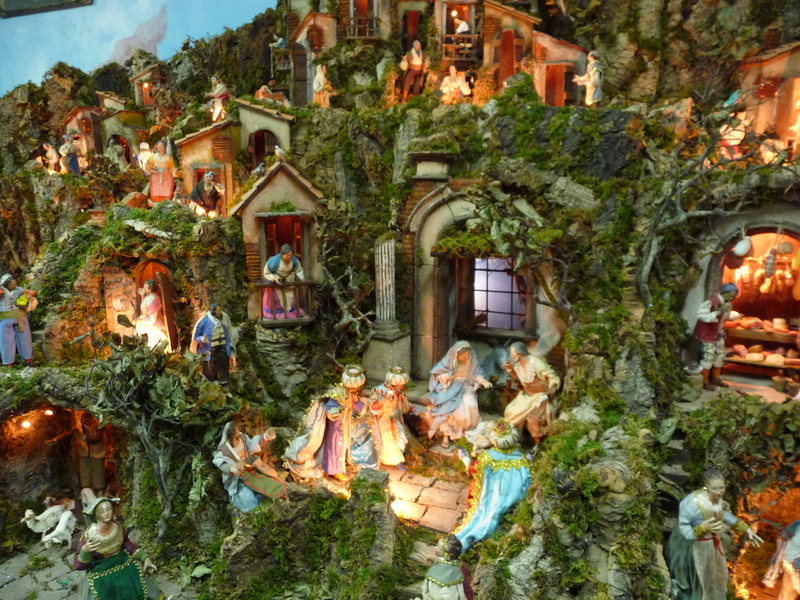 The street is known worldwide for its botteghe artigianali (artisan workshop) where the artists of the presepe, throughout the year are busy producing i pastori. The word pastori literally means shepherds; however, in this case it refers to all the figures that make up the Nativity scene. On the same street, the Chiesa (church) of San Gregorio Armeno was built in 930 on the foundations of a classic temple dedicated to Ceres. The church was dedicated to San Gregorio Armeno in 1208. 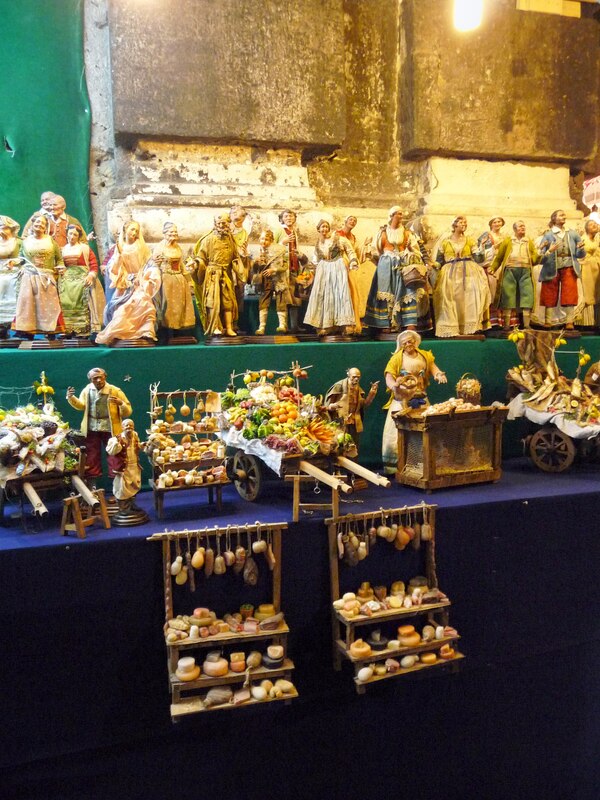 Although the art of the Neapolitan presepe is more recent, it was to Ceres that the population originally used to offer small votive clay figures made by the local artisans. In Napoli the tradition of “fare il presepe” (to build the Nativity scene) includes an annual passeggiata (stroll) to the “Via dei Presepi”. You can visit the workshops of San Gregorio Armeno year around and while during the rest of the year you might be able to better admire the pastori and observe the artisans at work, nothing compares to a visit during the Holiday Season. Hundreds of people walk through the narrow street looking for the perfect addition to their presepe or just looking for that unique piece to take home as a memento. In the evening the atmosphere is especially surreal with all the colorful lights blinking through the myriads of Nativity scenes. 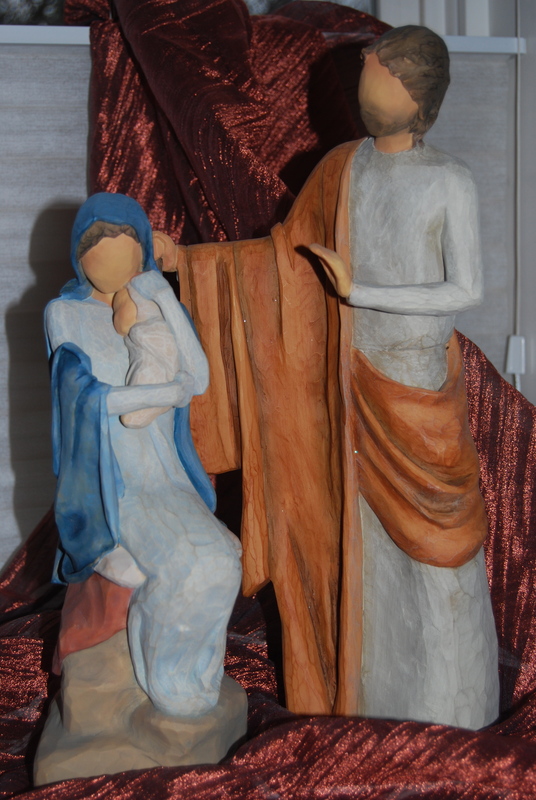 There you will find everything you need to build your own presepe from the houses made of cork or cardboard to pastori of all different sizes. The pastori are generally made in terra-cotta and they are either painted by hand and sometime also dressed in tailored fabrics. Some of the pastori are original reproductions of the classic pastori of the ‘700 and you can expect to pay thousands of dollars for them. Some of the figures also feature robotic mechanisms to reproduce the movement of the specific figure such the pizzaiolo (pizza maker) baking the pizza, or the laundress washing the linen. Benino (the sleeping shepherd), the wine maker, the fishmonger, the two godfathers, the monk, the gypsy, Stefania ( the young virgin who gave birth to St. Stephan), the prostitute, the zampognari (pipers), the comet, Il mercato (the open market) with the butcher, the fruit-stand, the melons-stand, the poulterer and so on and then the baker with his wood-burning oven, the church, the tavern, the river and the well. 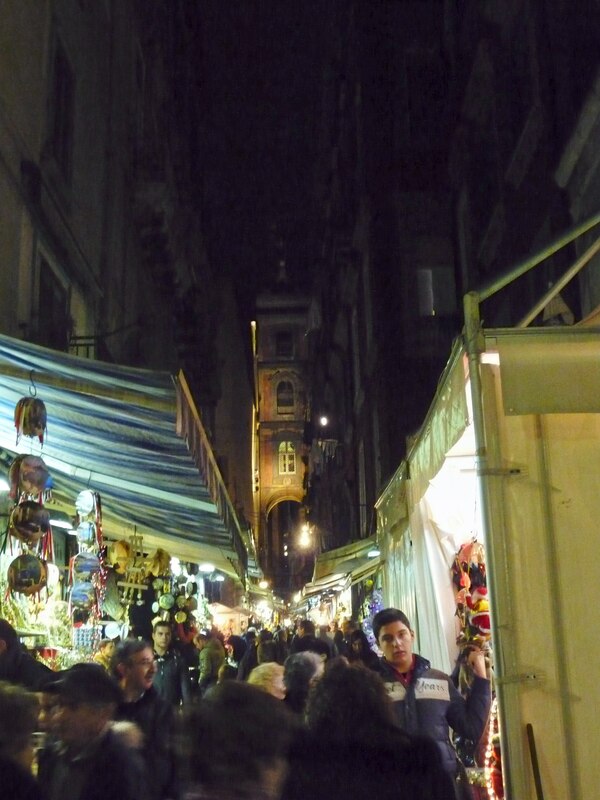 If you are fortunate to be in Napoli during the Holiday Season make sure to take a stroll to San Gregorio Armeno. However be prepared to the jostling and “ammuina” (Neapolitan term for confusione – confusion). And if afterward you feel hungry, head to the Antica Pizzeria da Michele for one of my favorite pizza in the world, but . . . that is another blog! 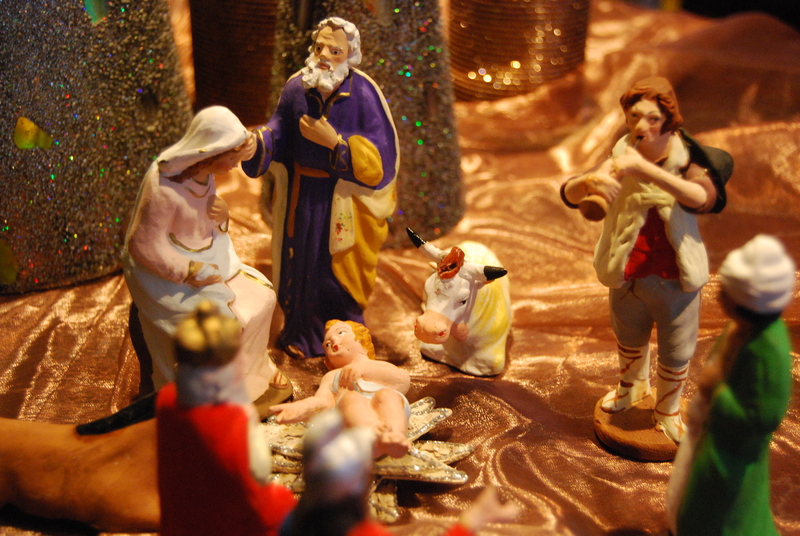 I cannot omit to mention that in the last decades the masters of the presepe have also specialized in the reproduction of characters estranged to the tradition but that represent the characters from politics, sports, culture and entertainment. Examples are Berlusconi, Maradona, Totò, Pulcinella, Obama, Pavarotti and surely this year, Steve Jobs. The presepe of My childhood included most of the traditional figures. The structure was made of cork and it represented a three level mountainous landscape with a winding path that from the top was leading to the village where the Holy Family was set in a grotto. There was also a secondary cave that was housing the tavern with the wine maker and its barrels. The church was sitting at an intermediate level and a beggar was standing nearby. At the same level there was the shepherd with his flock. Benino was sleeping under a tree while the zampognari were at the entrance of the grotto. There was a well in the peasant’s courtyard where the chickens and geese were scratching. The river was made with aluminum foil and many little houses were set into the scenery. The Re Magi (Wise Men) riding their camels were located up on the mountain far away from the village. There were a laundress and many more little figures around the village. The comet was shining on the grotto and a blue drape dotted with golden stars was the backdrop to the all scene. 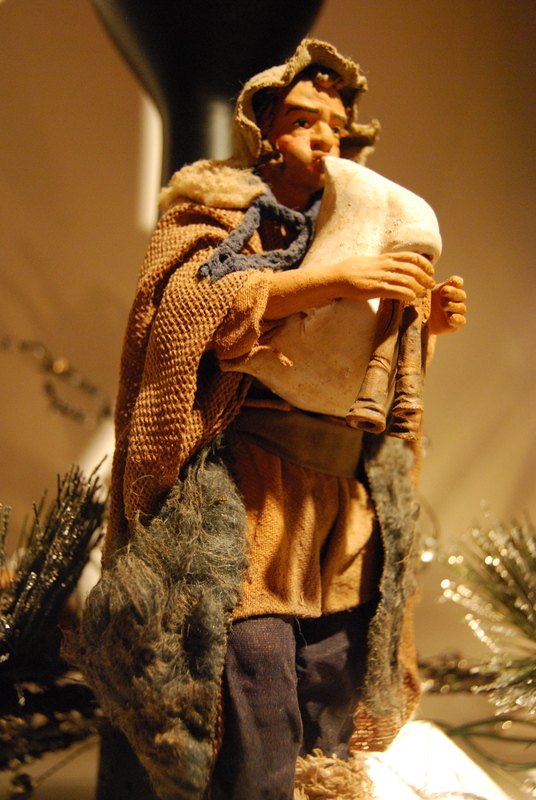 During the Holiday Season the presepe was My doll house, every day I would move the Wise Men along the path (they had to reach the grotto on January 6), I would take the geese to the river or move the sheep around. 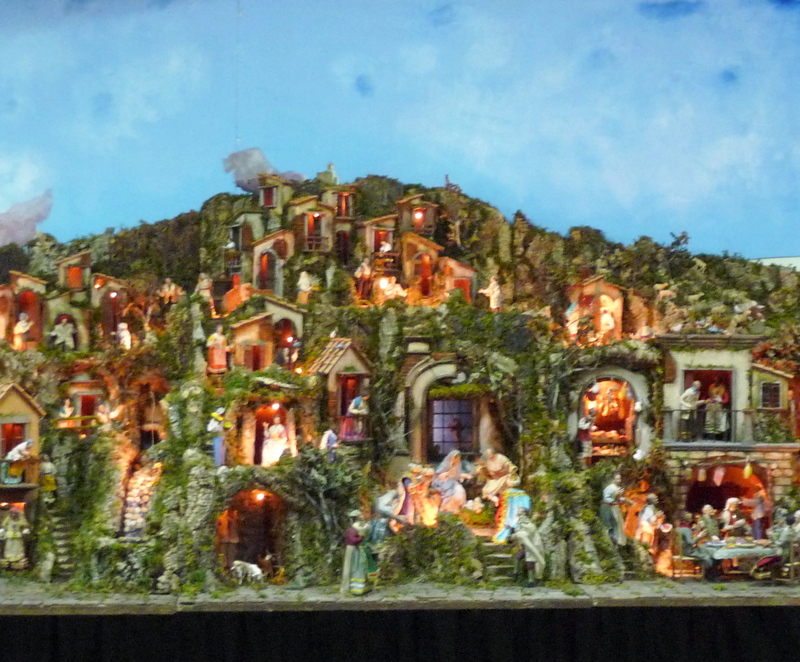 Today My Presepe is not as elaborated but I do have a small, delicate Nativity scene from San Gregorio Armeno. From San Gregorio Armeno I also treasure a single piece, a Zampognaro with his ragged clothes and his swollen red cheeks. 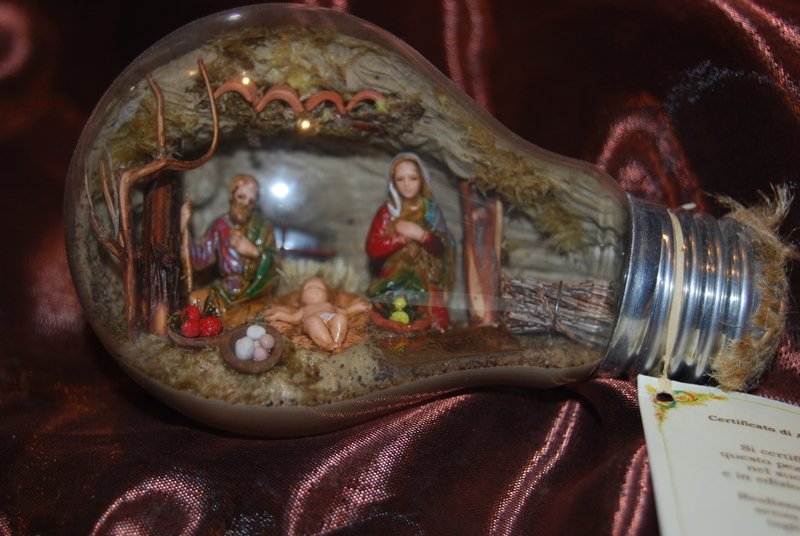 A Miniature presepe set into a light bulb which is the work of artist Annalisa Bonfanti of Naples. A traditional Italian presepe in resin. A Holy Family from the Willow Tree collection. A white Capodimonte Porcellain Nativity scene. 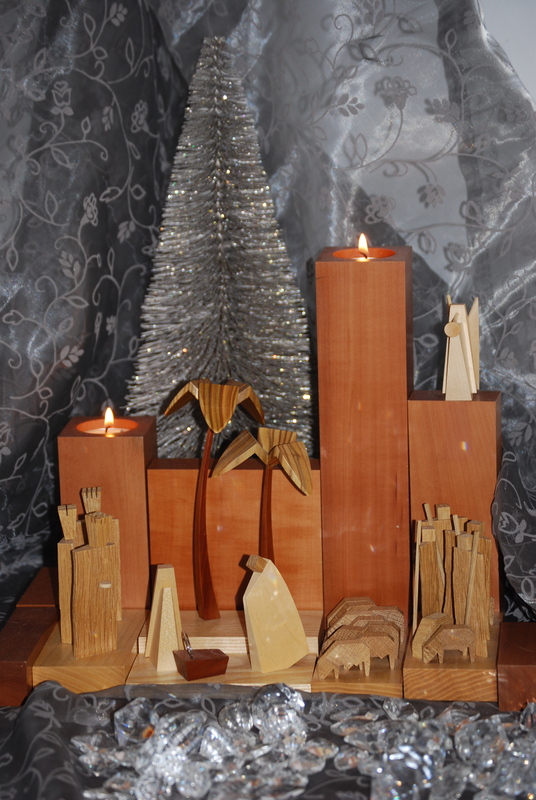 And a German made, contemporary Nativity set which I love for its simplicity. Do you have a presepe in your home? Tell me about it.